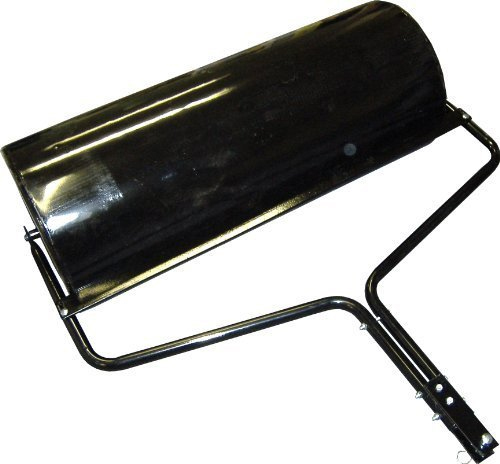 Suitable for towing behind mast lawn and garden tractors, this 1 metre working width steel roll has a full width scraper bar and a draw bar fitted with a hitchpin. This roll can be ballasted with either sand or water to suit conditions and the amount of ground pressure required. When filled with sand, a maximum weight of 219kg/482lbs can be achieved. Filling with water can give a maximum weight of 121kg/266lbs. A drain plug is fitted for easy filling/emptying of ballast. * Price includes delivery to address in Norfolk and the Waveney Valley area of Suffolk. We supply the Handy 1 metre roll full assembled and delivered by our own vehicles. Please contact us on 01603 738635 or 01362 699888 to order and to confirm availability.